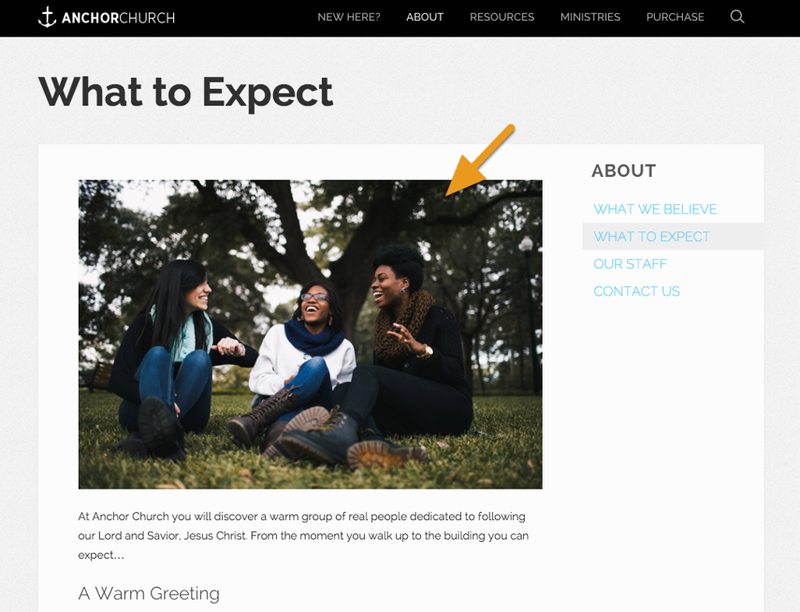 You can use your web browser to see the exact dimensions of the image spaces on your site. Most modern browsers have an option called "Inspect Element" which is accessible by right-clicking over an area of a website. When selecting this option, typically a panel comes up showing the HTML content and the dimensions of the area. 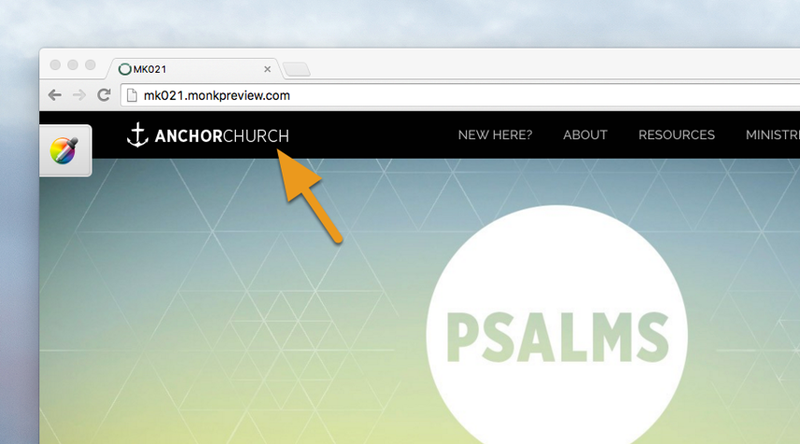 If you do not see an option to "Inspect Element" you may need to enable Developer Tools in your browser. Horizontal images are best inside the logo spaces of this theme. If your logo is vertically-oriented, feel free to contact us to make adjustments. 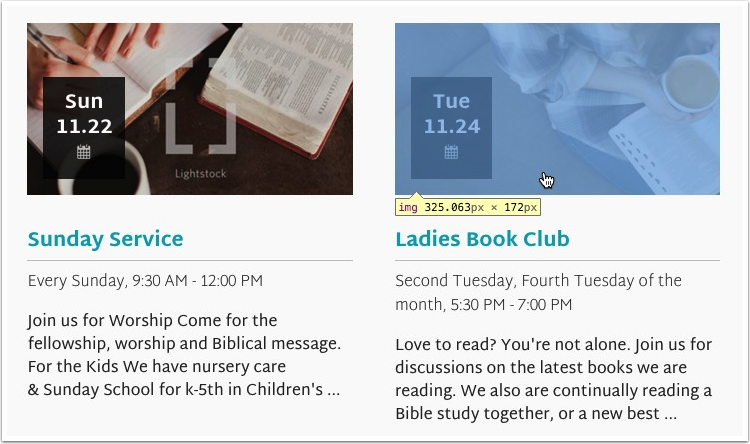 These images are defined in a record within each respective module, and each may have its own detail page template (for example, a Blog Post or Event detail page. 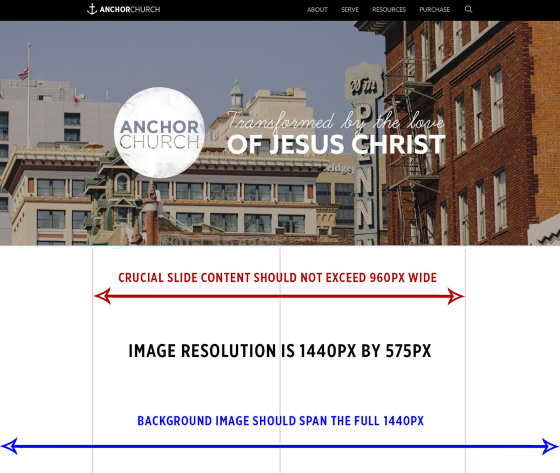 A high-quality 16:9 ratio image is recommended to achieve a consistent look. This rotator will use slightly different dimensions on tablet and phone breakpoints, so it's recommended to keep the text within the smaller boundary shown (960px wide). The maximum page width is 627px for body copy and images on this theme.